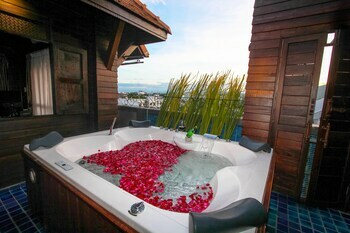 Expedia has some excellent Chiang Mai packages ready and waiting. Bundling your flights and lodgings is one of the most straightforward ways to save cash on your holiday. Reserve your package deal on Expedia and save as much as 55%*. With more than 400 partner airlines and 321,000 worldwide properties available on our extensive database, you'll be setting off on your holiday in no time! Feel free to cancel or make changes to almost any booking and you won't pay any extra fees to us. It can be quite nice to just amble around the streets when you're somewhere new, but sometimes it's a wise move to make a plan. Grab your travel schedule — we have some awesome ideas for your Chiang Mai holiday. 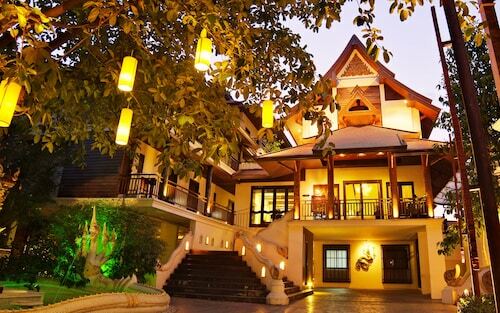 A truly unmissable attraction, the Chiang Mai City Arts & Cultural Centre will blow you away. 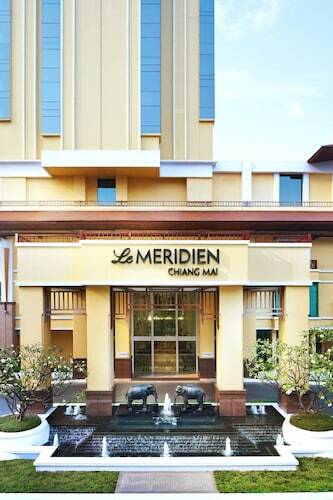 You won't have to venture too far from your hotel to explore it if you choose to set up base in Chiang Mai. What could be better than experiencing a new destination on foot? Let your feet take you to a terrific attraction nearby, the Wat Chiang Man. An easy way to truly immerse yourself in a destination's culture is to explore its bustling marketplaces. Browse the products and shop like a local at Chiang Mai Night Bazaar. There's a great range of things to keep you busy in this destination. Temples have long lured pilgrims in search of divine enlightenment in a complex world. Enter the hallowed site of Wat Chedi Luang and immerse yourself in your own quiet reflection. Still have time to spare? Built to worship one or many gods, temples offer travellers an interesting glimpse into another way of life. Learn about local beliefs and walk around the sacred space of Wat Phra Singh. Holidays are pretty great already. But diving into the terrific experiences on offer definitely makes them better! Head to our Chiang Mai things to do page for a full list. After a great day of activities, you're going to want a decent bed. 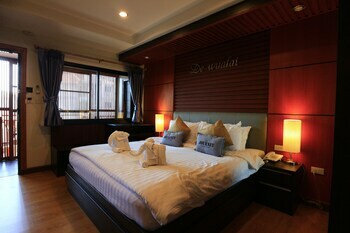 Fortunately, there's a number of accommodations in Chiang Mai. 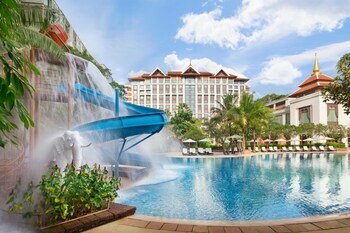 Choose from as many as 332 options and kick off your cheap holiday or luxury getaway. If you need to keep an eye on your bank balance, why not take a look at budget accommodations such as the Amaka Bed & Breakfast (248/33 Sahasripoom Place) or the Vanilla Place (73/2-3 Charoen Prated Rd)? Both come with great reviews! 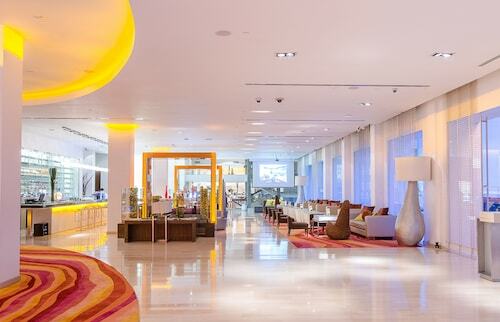 You'll have several high-end hotels at your fingertips too. Inject a bit of luxury into your trip when you lock in a room at the 137 Pillars House (2 Soi 1 Nawatgate Road, Tambon Watgate) or the Anantara Chiang Mai Resort (123-123/1 Charoen Prathet Road). 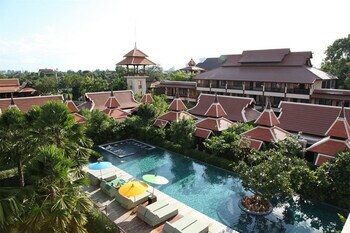 Chiang Mai is a great neighbourhood to stay in if you're keen to be near the Chiang Mai City Arts & Cultural Centre. The Rachamankha and the Tamarind Village are both a mere stroll away, so make your booking today for a convenient place to spend your evenings. 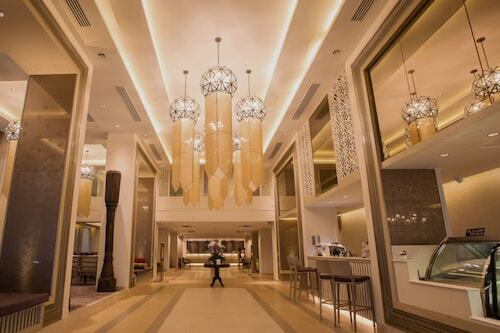 Hopping on a flight to Chiang Mai International Airport (CNX) is the easiest option for most travellers. Once the plane lands, you'll be just 2 miles (3 km) from Chiang Mai. Enjoy the lively ambiance among the lights, music and enticing aromas of this iconic night market specializing in portrait paintings. Learn the intriguing history behind this iconic temple that holds some of the most important artifacts in the Buddhist religion. See the pagodas, bells and museum of this fascinating and ornate Buddhist complex, the holiest shrine in northern Thailand, in a mountainous national park. 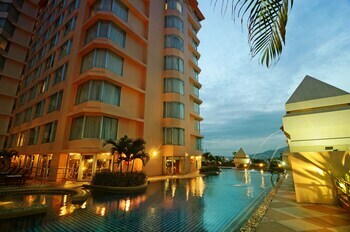 Admire rare and exotic plants and animals and capture photos of the spectacular mountain views in the Roof of Thailand. Delve into the ancient tunnels that meander beneath this famous temple complex and inspect its various shrines, images and statues. Marvel at the charming Winter Palace and inspect the rare and exotic plant species nurtured by the mountain air, cooler than elsewhere in Thailand. Intriguing and well-preserved images and sculptures from a former empire, including the important Crystal Buddha, decorate the oldest temple in the city. Stroll along meandering trails to appreciate waterfalls and delve into mysterious caves in this favorite park of the royals. Have coffee near a pavilion and marvel at the intricate and baroque features of one of Chiang Mai’s most important temples. Walk on a bridge that runs across the treetops and admire the rare and endangered plant species in these vast gardens. Ride an electric bus around these huge grounds and get a closer look at the yellow ratchaphruek, Thailand’s national flower. 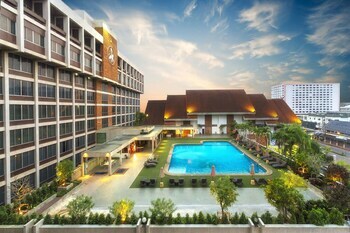 Located in Chang Khlan, this family-friendly Chiang Mai hotel is within a 10-minute walk of Art in Paradise and Chiang Mai Night Bazaar. Tha Phae Gate and Riverside are also within 1 mile (2 km). 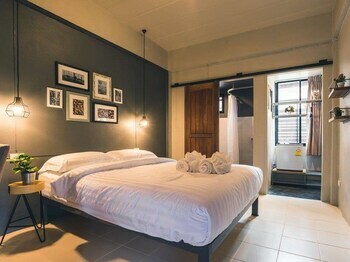 Located in Chang Khlan, this eco-friendly hotel is within a 5-minute walk of Chiang Mai Night Bazaar and Riverside. Tha Phae Gate and Warorot Market are also within 15 minutes. Chiang Mai Railway Station is 28 minutes by foot. 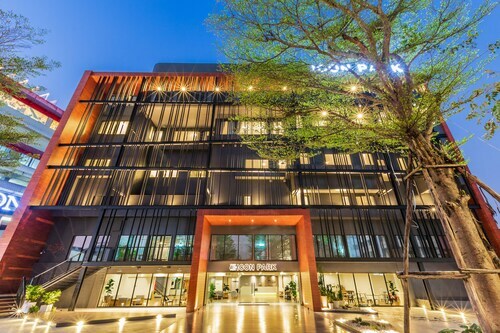 Located in Old City, this hotel is within a 15-minute walk of Sunday Walking Street Market and Kad Suan Kaew Shopping Centre. Warorot Market and Nimman Road are also within 2 mi (3 km). 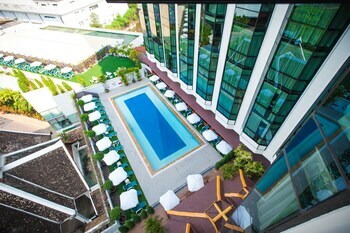 Located in Old City, this spa hotel is within a 10-minute walk of Tha Phae Gate, Chiang Mai Gate, and Sunday Walking Street Market. Chiang Mai Night Bazaar and Wat Chedi Luang are also within 15 minutes. 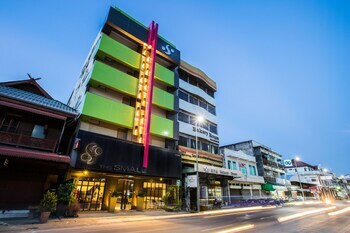 Located in Chang Phueak, this hotel is within a 15-minute walk of Chiang Mai University and MAYA Lifestyle Shopping Center. Chiang Mai Zoo and Doi Suthep-Pui National Park are also within 1 mile (2 km). Located in Chang Khlan, this spa hotel is within a 5-minute walk of Chiang Mai Night Bazaar and Riverside. Tha Phae Gate and Warorot Market are also within 15 minutes. Chiang Mai Railway Station is 29 minutes by foot. Kuala Lumpur Intl. - Chiang Mai Intl.